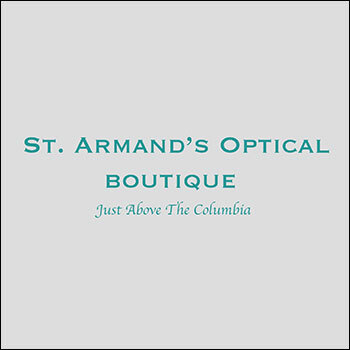 St. Armand’s Optical is a welcome departure from the corporate eyeglass experience. 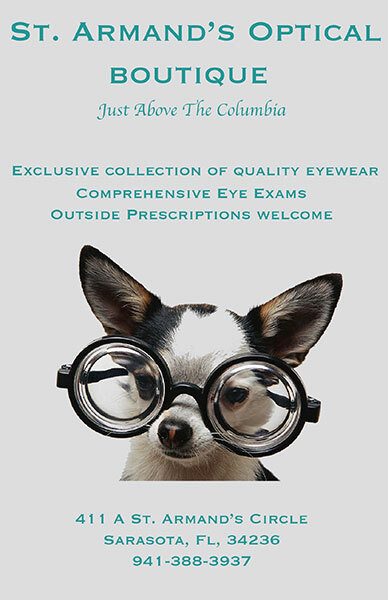 We offer comprehensive eye exams, an extensive collection of unique eyewear, and expert repairs. Instead of feeling rushed or pressured, the central purpose of St. Armand’s Optical is to treat every customer with the utmost importance. Call today to schedule an appointment with our optometrist for an exam, or use your existing prescription. St. Armand’s Optical is a family owned business that carries the finest quality products. Located just above The Columbia Restaurant on St. Armand’s Circle, accessible by elevator or stairs.